This housing project presents a number of proposals on urban living. The first is a glass fiber screen set around the perimeter of the balcony on the street-side of the second and third floors. 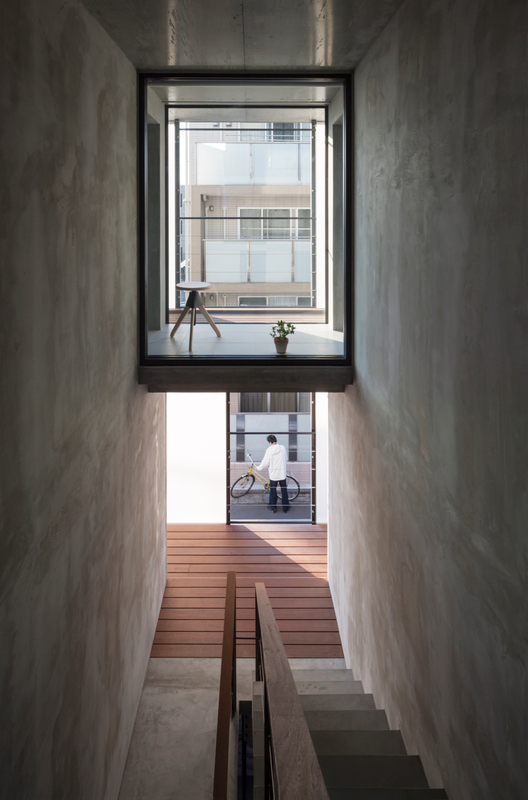 This screen, which looks like a thin, white wall in the daytime, assumes a variety of functions — ensuring the residents’ privacy, reducing the thermal load from the direct sunlight (that comes in especially from the west), diffusing light into the far corners of the home, and hiding the outdoor air-conditioning unit and clothes hanging out to dry. While this screen is effective to a certain level for all these purposes, it does not work perfectly for any of them. This “imperfection” is not a defect — rather, it is an important element of this building. The reason for this is because if any single purpose were pursued to perfection, other purposes will be overshadowed — for instance, the basic desire to look out at the view. At the same time, the “allowance” that results from this imperfection is rather a possibility for making adjustments, allowing residents to participate in the space-making. 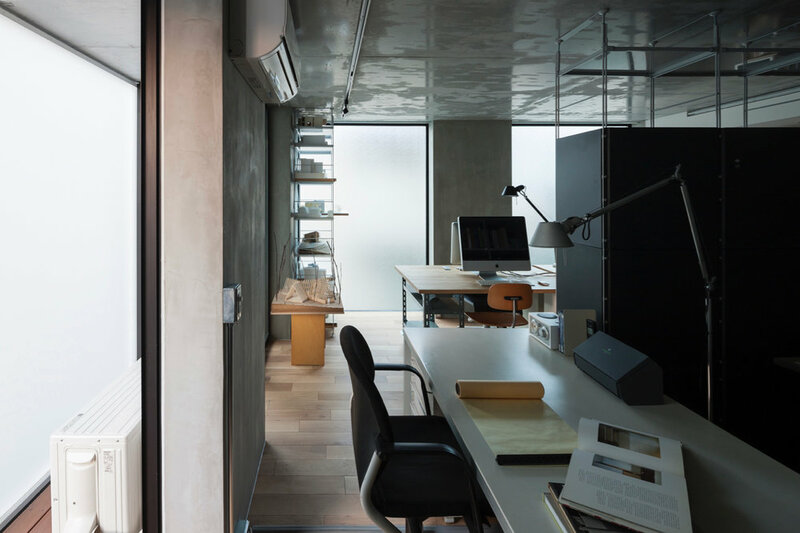 For instance, residents can select curtains and blinds in their own tastes and layer them on this screen, allowing them to control the amount of privacy they desire. They can also place bicycles, plants and furniture in the veranda space inside the screen and customize it as an extension of their room. 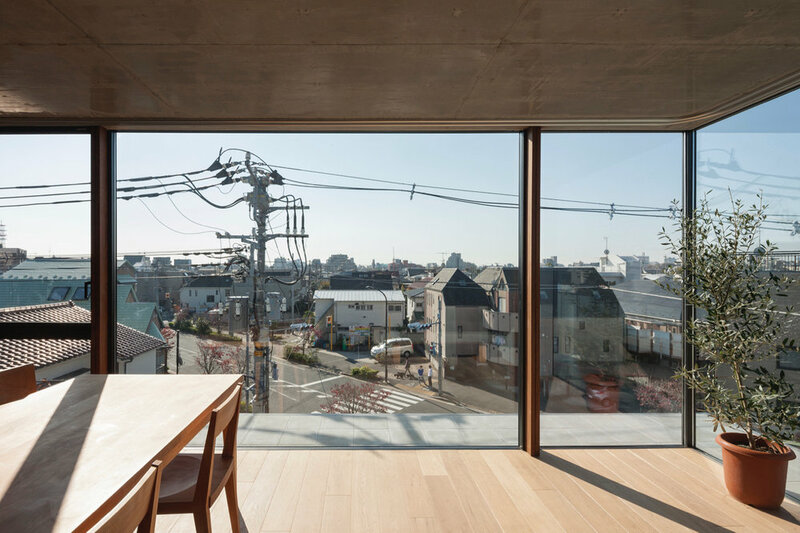 On the other hand, the screen provides uniformity to the exterior and secures the anonymity of the residents. What is important here is the dose of “allowance” provided to mediate between resident participation and the uniform whole — the screen, in this case, provides the “incomplete design” for this. As opposed to the second and third floors equipped with their screens, the client’s home on the first floor facing the street is designed as a courthouse while the top floor units, separated from the street and surrounding buildings, are designed as special penthouses for enjoying the perks of living on the top floor.